Cheers, 8 of 5! Cool, an official Valdore but what's that scoutship with the greebies? Looking forward to the painted Tactics versions of these! Yes it would be the first Valdore model wouldn't it? 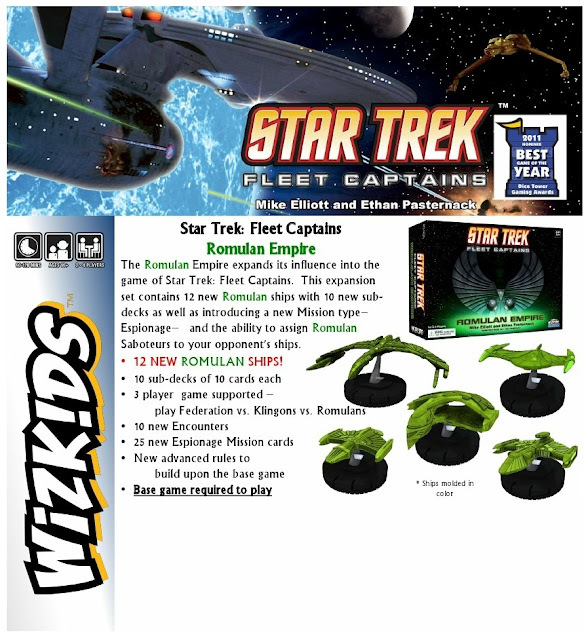 I'm hoping we'll get on in the new ships part work magazine too (as these heroclix things are stupidly tiny). No idea what the extra module on the scout is meant to be. And I had the same thought about inevitable Tactics re-releases. I bought a few nice painted Tactics ships but I'm with ya: I much prefer larger JL or Hallmark-sized ships. A pal at Rebelscum pegged those 2 "scout ships": the larger one with the oversized "module" is a scout ship whilst the smaller one is the Romulan science ship from "The Next Phase". Oh dude, it's just killing me that the new partwork isn't available where I live. Can't even subscribe and send it to my rellies in England: you can only bill them to the UK. Ack! Since they're for a game, their scale is completely inconsistent. Displaying them together isn't really great, because you have really small classes of ships at basically the same (or sometimes larger) sizes as much larger classes. VorpalK, you might want to check out the Romando sets. They're the only scaled Trek ship sets that I know of. Don't know what fugly price they sell for these days... it won't be pretty.